Throughout the Gaza Strip, Hamas security forces have been detaining several of Fatah's leaders and affiliates. According to a statement made by Fatah on Sunday, Hamas officials have launched an arrest campaign against Fatah leaders and associates in the Gaza Strip. The Ma’an News Agency reported that on Thursday, Hamas security forces raided the home of Abed al-Aziz al-Maqadma, a senior Fatah official. Hamas confiscated his personal mobile phone and computer and brought him to the security headquarters located in Northern Gaza, where he remains detained. On Friday, Fatah officials Darwish and Hussein Abu Hilayel were also detained and are still being held for unknown reasons. Khalil Abu Hasna, the executive director of the National Commission for Development and Islamic Solidarity, was also arrested that morning according to Fatah MP Majed Abu Shamallah, who said Hamas forces raided the home and confiscated Abu Hasna's cell phone, laptop, documents and his children's iPad. Many other affiliates were summoned for questioning at the security headquarters. 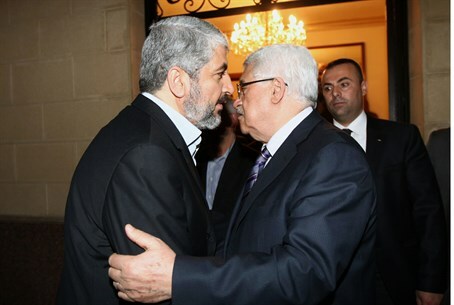 Fatah claims the arrests were "flagrant assaults and violate previous arrangements made during reconciliation talks." Part of the agreements was to end politically motivated arrests. A leader of the Fatah party has asked Hamas to end all "violations" against its members. On Friday, Fatah MP Majed Abu Shamallah warned of an impending security campaign by Hamas in the Gaza Strip since the raiding of several homes of Fatah leaders.